Precise Painting is a company who prides itself on hard work, good communication, and quality skills. "Precise Painting just finished the basement and it looks great. Professional, reasonable, honest. The quality of work lives up to the name. Would definitely recommend." "We just had the complete interior of our home painted by Precise Painting. They were very professional and did a great job. I would reccommend them if you are looking to have some painting done in the New Year." "For painting we have used precise painting and are very happy with their work." "I recommend precise painting, excellent work and communication, all at a very competitive price." "Josh assigned a painter that did a fabulous job on our kitchen/family room ceiling for a very reasonable price. I will call upon him for any future inside or outside work." "I recommend precise painting. They did an excellent job and took a lot of care to protect furnishings/floors. We received multiple bids and theirs was reasonable and right in the middle. Very diligent and works with you." "My family made a huge move in 2005 and landed in Bloomington, IL. Knowing no one we quickly learned the importance of trust and have followed that instinct. When it came to freshening up our home we turned to many friends we had met in our wonderful community, we received advice to turn to Precise Painting. Not only was the work ABSOLUTE perfection, but the trust I placed in this company measured up to my high expectations." "We recently had two rooms painted we were very pleased with the results. We were especially grateful for the time spent preparing the walls, helping us with colors, and answering any questions we had. We enjoyed the professionalism that the company provided." 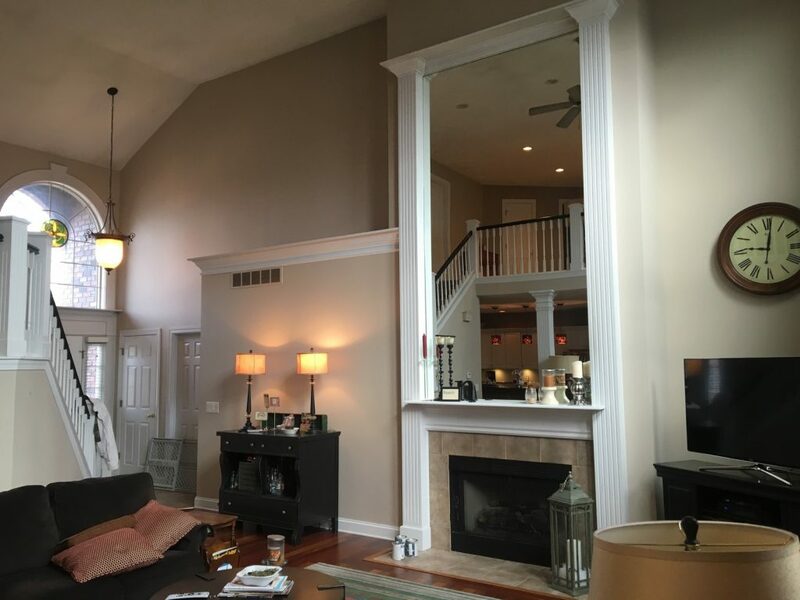 "Precise Painting has painted our home numerous times, most of the rooms in the house and some wood work, an oak fireplace mantel that had previously been stained, the front entrance and shutters and most recently a new custom built bench/ hall tree. Precise Painting is very professional and they do not take short cuts, while making the extra effort to insure you are happy with the high quality results. Always a good experience, great to work with, and we highly recommend this company." "Precise Painting does excellent work. They are very neat, efficient, and trustworthy!" "I wanted to take a minute to inform you on how pleased I am with the exterior and numerous interior painting jobs Precise Painting has completed in our home. Precise Painting always responds promptly to my painting requests, and completed the jobs in a timely and professional manner. They are very trustworthy, and I felt comfortable leaving the house open when I was away. Of course, I thoroughly enjoy coming home after being gone all day and seeing the newly painted walls to indicate they had been there working while I was gone. I am always pleased with the end results and would highly recommend Precise Painting." "Precise Painting did a wonderful job at my house. Their professionalism and timeliness to complete the job was the best experience I have ever had. I would recommend this company to anyone who is looking for 100% satisfaction the first time around." "Precise Painting did a wonderful job repainting our home. I would definitely recommend this company. Not only are they efficient but very professional with their work. I won't go anywhere else!" "Whenever my wife gets a crazy idea on a room renovation from Pinterest, I can turn to Precise Painting for expert advice. Their opinion is always welcome and always accepted. Any job we have had done by Precise Painting from trim, doors, fireplace, or whole room makeovers- Precise Painting has helped made our house a home."